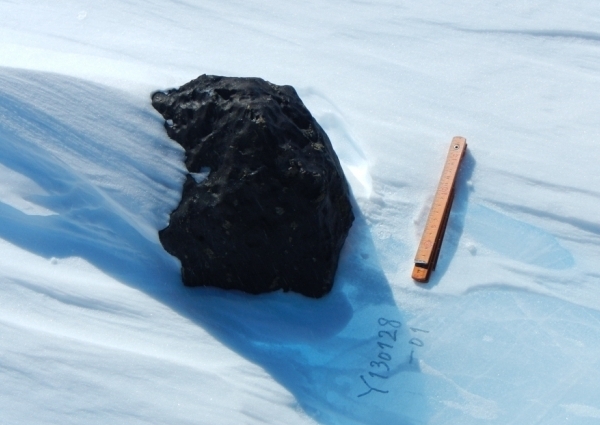 Huge Meteorite Just Found In Antarctica. What's Up With all the Meteorites Lately? 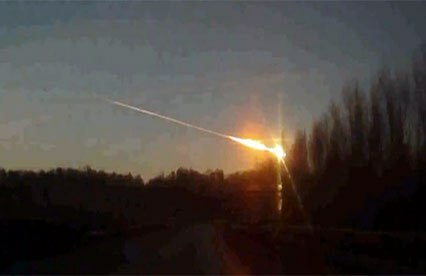 A meteorite fell in Russia on February 15, 2013. It shattered into pieces between 18 and 32 miles above Chelyabinsk, to the east of the Ural Mountains in southern Russia. Now scientists have discovered another meteorite in Anartica. Huffington Post, March 4, 2013: An unusually large meteorite has been discovered by an international team of researchers in Antarctica. The team, searching an area known as the Nansen Ice Field, discovered the 40-pound space rock in late January, according to OurAmazingPlanet. Scientists from Université Libre de Bruxelles (ULB), Vrije Universiteit Brussel (VUB), Japan’s National Institute of Polar Research (NIPR) and Tokyo University were part of the expedition that discovered the extraterrestrial chunk, the largest such meteorite found in the region in close to a quarter century. The team was based out of the Princess Elisabeth Antarctica research station. 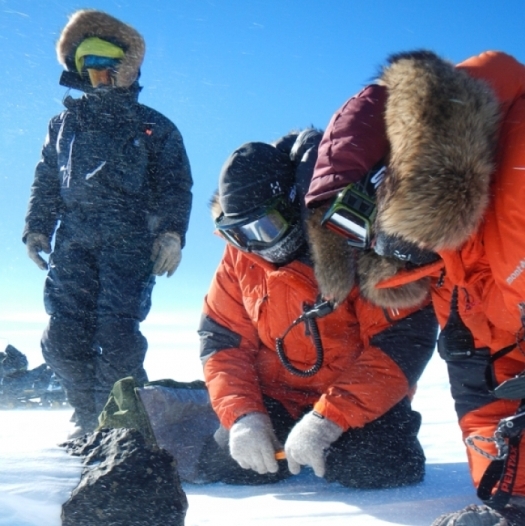 "This meteorite was a very unexpected find for us, not only due to its weight, but because we don’t normally find such large meteorites in Antarctica," Vinciane Debaille, a geologist who led the Belgian arm of the research team, said in a written statement on Feb. 28. "This is the biggest meteorite found in East Antarctica for 25 years, so it’s a very special discovery for us, only made possible by the existence and location of Princess Elisabeth Antarctica." Known collectively as SAMBA, the international team had been searching the ice field since mid-December, according to the group's website. The team's current project is to collect large meteorites and study them. Eventually, the meteorites will be publicly displayed. Understanding how our planet works necessitates studying its interior. Direct geological records only document the crustal or uppermost fraction of our planet while the deeper parts remain totally outside of our reach. Meteorites coming from the asteroid belt between Mars and Jupiter have recorded information on how other planets formed and evolved through time; from undifferentiated primitive asteroids to differentiated small planets, showing the development of a crust, a mantle, and a metallic core just like those of the Earth. Debaille's Feb. 28 statement also explained the group's work. "We study meteorites in order to better understand how the solar system formed, how it evolved, how the Earth became such a unique planet in our solar system," said Debaille. OurAmazingPlanet notes that United States scientists also ventured "out on the polar ice to collect meteorites this season," but they were searching on the opposite end of Antarctica from the SAMBA outfit. While meteors generally burn up in the atmosphere, in mid-February a huge meteor exploded over central Russia, showering the area in debris and creating a shock wave that injured hundreds. On February 15, 2013, an asteroid just missed hitting the planet Earth. After skimming closer to the earth than any other asteroid of its size, the asteroid called space rock 2012 DA14 missed us by about 17,100 miles, a margin closer than some satellites. What is the difference between an asteroid and a meteorite? An asteroid is sometimes called a minor planet or planetoid. They are small Solar System bodies in orbit around the Sun. There are tens of thousands of them grouped in the main asteroid belt between Mars and Jupiter. They are smaller than planets but larger than meteoroids, meaning that an asteroid can range from a few meters wide to hundreds of km wide. The term ”asteroid” has historically been applied primarily to bodies in the inner Solar System since the outer Solar System was poorly known when the term came into common usage. In general, they are rocky bodies that do not have an atmosphere, although some have a high metallic content. A few have their own moons. A meteorite is any object that has entered the atmosphere of another object and survived to impact the surface. Another way to explain a meteorite is to say that they started out as little chunks of rock and debris in space called meteoroids. They become meteors when they fall through a planet’s atmosphere; leaving a bright trail as they are heated to incandescence by the friction of the atmosphere (shooting stars). Pieces that survive the journey and hit the ground are called meteorites. Occasionally, an object large enough to be considered an asteroid will enter an atmosphere. Its remnants are also called meteorites if they impact the surface. 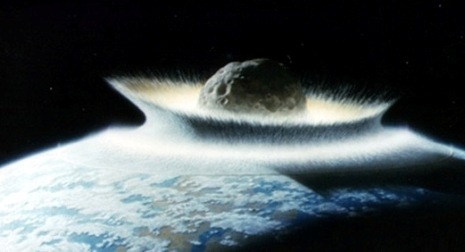 What are the odds that an asteroid will hit the planet Earth? NASA knows of no asteroid or comet currently on a collision course with Earth, so the probability of a major collision is quite small. In fact, as best as they can tell, no large object is likely to strike the Earth any time in the next several hundred years.